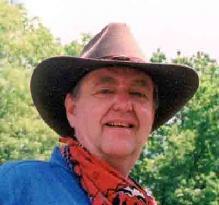 James J. Griffin is author of the Texas Ranger Jim Blawcyzk series of western novels. The Blawcyzk stories are traditional Westerns. Griffin himself is a lifelong horseman, Western enthusiast, and historian of the Texas Rangers. He has contributed an extensive collection of Texas Ranger artifacts to the Texas Ranger Hall of Fame and Museum in Waco, Texas. You want me to take you WHERE? You wanna go there, you go first. Aw, Ranger, I didn't mean it. Speak to me! Jim has been an avid horseman all of his life. He has owned several American Paint Horses, including his current mount, Yankee. He is a member of the Connecticut Horse Council Volunteer Horse Patrol, an organization which assists the state park rangers with patrolling the state parks and forests.